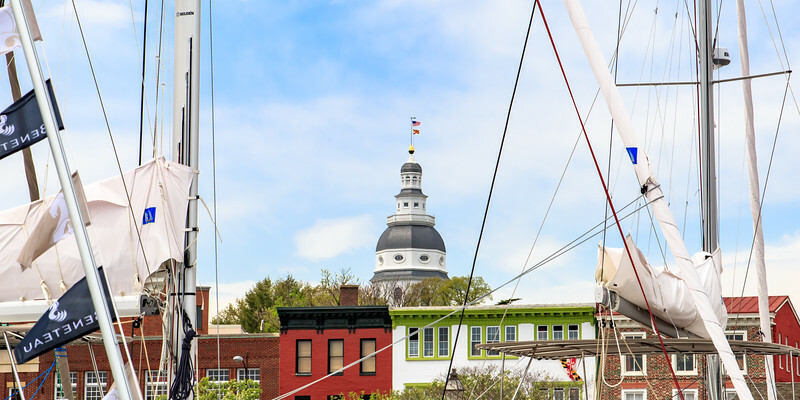 The Maryland State House can be viewed through sailboats and above local shops in downtown Annapolis on April 21st, 2015. Set your property apart with professional real estate photography. Sam George is Annapolis' premier real estate photographer, offering magazine quality interior and exterior photo sessions. Professional photos increase the response in your property for sale or lease and drive traffic to your listing. Make your real estate shine by showing it in its best natural light, book a session today!